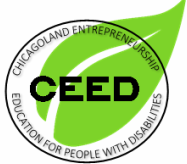 The Chicagoland Entrepreneurship Education for People with Disabilities (CEED) project has been funded by the Coleman Foundation, and works to bridge entrepreneurship and disability by developing and implementing an evidence-based, comprehensive entrepreneurship education and training program for people with disabilities and service providers working in Disability Community Agencies and Small Business Development Centers (SBDC) in Illinois. This has been accomplished through a dual focused, person-centered approach that combines disability and business knowledge/practices, and targets the needs and barriers specifically experienced by people with disabilities looking to start or grow a business. The project builds upon and complement existing programs for entrepreneurship in both disability and business fields. A key gap in this area is the lack of awareness of what resources, supports, and information exist, where to find it, and how to use it. The project meets a need in the community expressed by people with disabilities, their families, and service providers, but it also helps SBDCs increase their capacity to provide accessible business development services for people with disabilities. Further, this project will develop the skills of service providers across both disability and business fields to enhance collaboration in order to more effectively assess an individual’s preparedness, needs and progress in entrepreneurship. 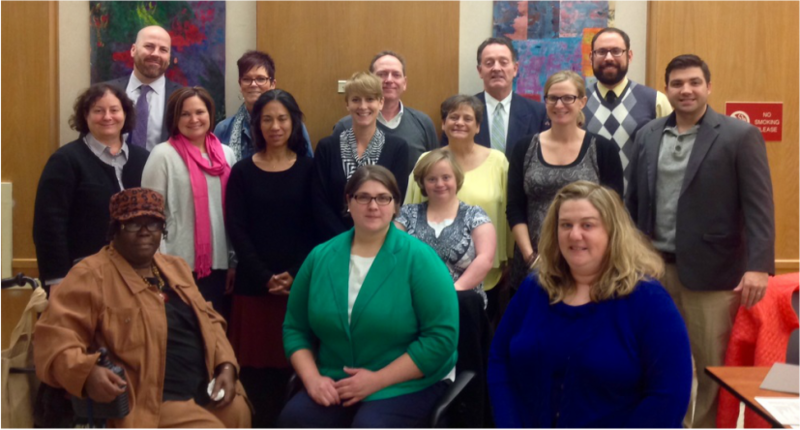 Photo from the CEED Expert Panel Workshop in October, 2015. First row: Patricia Hardy, Kate Caldwell, Mary Lee Ahern. Second row: Nancy Nauheimer, Kim Zoeller, Chris Danguillan, Denise Ching, Bridget Brown, Nancy Brown, Sarah Parker Harris, Sean Kemper. Top Row: Matt Hillen, Robin Jones, Andrew Fogaty, Job Albritton, Rob Gould.